Metaboman - Wireless Dancer. Vinyl EP. Bleep. Metaboman’s latest EP lands on Circus Company (Dani Siciliano, The Mole). Wireless Dancer is a record of typically idiosyncratic house fare. Opener ‘Doppeldenk’ kicks things off with a light Italo-Disco flavour. The middle of the EP consists of two meaty sample-house rollers - ‘Hanno’, with its jacking groove and guest sax spot from Thomas Prestin, is a particular highlight. 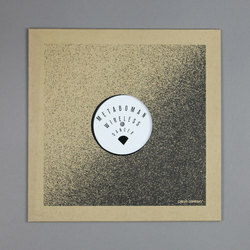 Wireless Dancer closes out with the clanking deep house groove of ‘Echterg’.